Blue Lagoon is one of the most, if not the most famous sights in Iceland and it totally deserves this title. It combines a spectacular view and a therapeutic seawater that will make you feel pure joy, while bathing in this geothermal pool. We suggest that it is better to visit Blue Lagoon in winter season. Don’t worry, one of the unique features of this hot spring, that the water is warm all year long. There are several reasons, why in winter, you might enjoy this beautiful geothermal spa more. First of all, obviously due to popularity of the spot, it can be a bit crowded with both tourists and locals. Even though the sight is popular in winter season as well, it still will be more relaxing to enjoy the water during off peak season. Also because of significant difference between air and water temperature, bathing in winter will be more impressive and remarkable experience, than during warm weather. And in winter you can observe Northern Lights, while swimming in geothermal spa, and trust us, emotions that you will feel at that moment is beyond words to describe. Because of the healing effects of the water, Blue Lagoon is highly recommended for people, who suffer from skin diseases, such as psoriasis. There is also a research facility that examines medical effects of silica and sulphur, that can be found in the water here. In case you are interested in in-water treatments, there are several options that are offered in this geothermal spa. If you visit Blue Lagoon to wash off stress, we will highly recommend you to have relaxing message. You can choose between 30 minutes and 60 minutes and it will cost €60 and €95 respectively. If you are more interested in skin treatments, then pure salt glow or authentic silica salt glow will be perfect therapies for you. The first one is using Blue Lagoon sea scrub and will have a positive cleaning and refreshing effect on your skin. It will cost €68. The latter is a full body treatment and it uses the unique combination of Blue lagoon minerals, silica and oil and will give you fresh and glowing skin tone. Depending on duration, it will cost €80, €125 or €155. 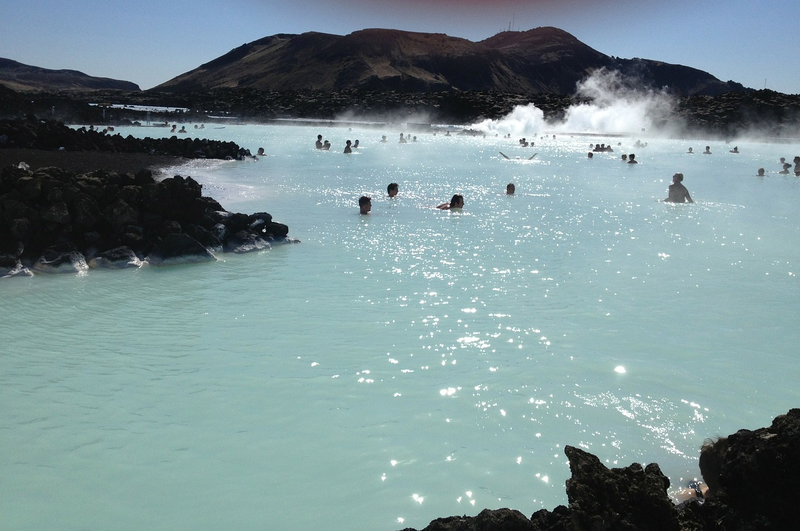 Blue Lagoon is easily reachable from both Reykjavik and Keflavik airport. The geothermal spa is worth visiting, it will not only refresh your energy, improve your skin, but will also give you positive emotions and amazing memories. Car Rental Iceland with Reykjavík Auto, the best service with only brand new cars!